Moroney, Christopher. Very Good. 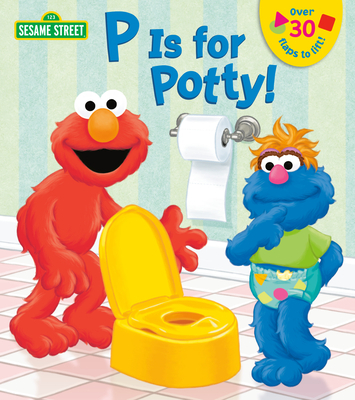 P is for Potty (Sesame Street) by Kleinberg, Naomi, 2014-07-30. Lift-the-flap book. Glued binding. Paper over boards. 12 p. Contains: Illustrations, color. Sesame Street (Random House). Intended for a juvenile audience. Moroney, Christopher. Good. P is for Potty (Sesame Street) by Kleinberg, Naomi, 2014-07-30. Lift-the-flap book. Glued binding. Paper over boards. 12 p. Contains: Illustrations, color. Sesame Street (Random House). Intended for a juvenile audience.